Next up is Christine Rain’s steamy romance series Sasquatch Susies from Ellora’s Cave. Zowie! Pictures tell a thousand words, do they not? To learn more and nab your copies, head to Christine’s special erotica page. 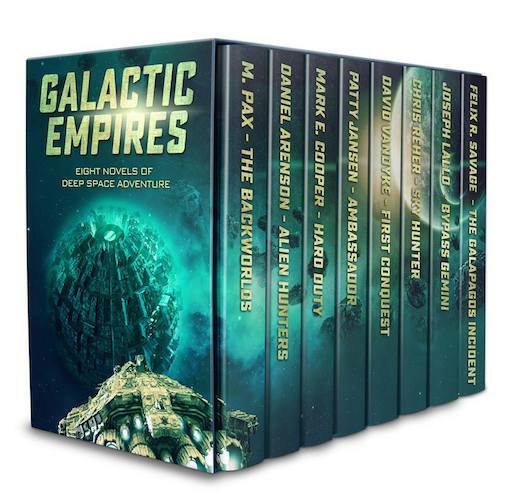 And finally, a spectacular boxed set of space fiction called Galactic Empires, with a novel from an Untethered Realms author, M. Pax. 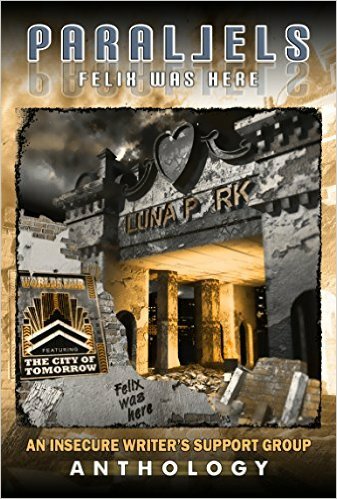 The Backworlds by M. Pax – A man struggles to survive in the harsh world of humanity’s outer settlements and prove his father wrong. Alien Hunters by Daniel Arenson – A scruffy alien pest controller faces an alien threat the likes of which the universe has never seen. Hard Duty by Mark E. Cooper – Hostile aliens nearly eradicated humanity. Will the next encounter finish the job? Bypass Gemini by Joseph Lallo – A disgraced racer pilot gets mixed up with a mega-corporation. Now he has to stop them. Sky Hunter by Chris Reher – Sent to a human outpost to investigate sabotage, a pilot finds more trouble than she bargained for. The Galapagos Incident by Felix Savage – A genocidal AI attacks the solar system, and a Space Corps agent has one chance of saving a bunch of asteroid squatters she was sent to evict. First Conquest by David VanDyke – To find a home and keep humanity safe from hostile aliens, Task Force Conquest must fight to seize a new star system.